STORY This is the STORY what cotton sliver was made. Several years ago, we discovered that cotton sliver is needed for many people. Since then, we were trying to make Unbleached, Non-pesticide organic cotton sliver. We had already a bleached cotton sliver, but they could not make Unbleached cotton sliver. After a long term experiment, we have been able to create Unbleached, Non-pesticide cotton sliver at last. 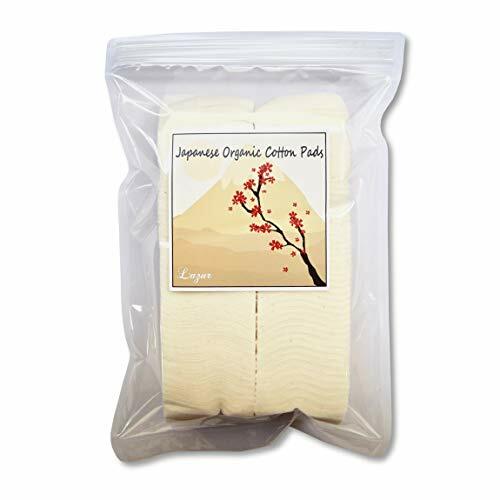 It is only us who can provide Unbleached, Non-pesticide cotton sliver from Japan. Please enjoy cotton sliver made for you;) MADE IN JAPAN. 100% Japanese Organic Cotton Sliver from Japan. 100％ ORGANIC. 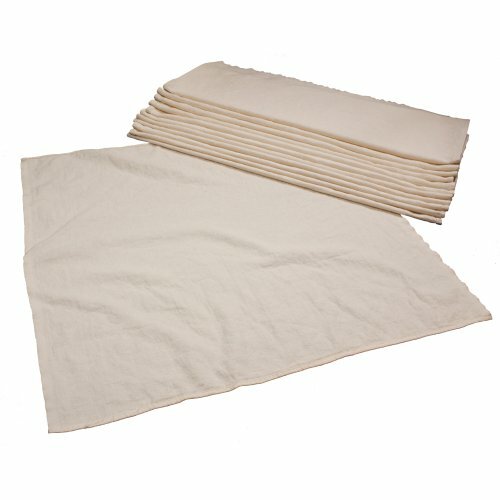 Unbleached, Non-pesticide organic cotton and Natural product. Our organic cotton has sometimes little black dots as a sign of not being over-refined and being more natural. PRODUCT CONFIDENCE. There are evaluations from customers who can not be doubted. AWESOME AMOUNT. Cotton Sliver of 13 Feets. We have reduced the costs we could cut down for customers. GOOD SHAPE. It is the most excellent in all. Please check it for your hands. MADE IN JAPAN. 100% Organic Cotton from Japan. We are a Japanese Seller and cooperate with a traditional factory to provide cotton. Since we are connected with our factory, we are offering authentic cotton surely. 100％ ORGANIC. Unbleached, Non-pesticide organic cotton and Natural product. The original color of cotton is intact. Our organic cotton has sometimes little black dots as a sign of not being over-refined and being more natural. 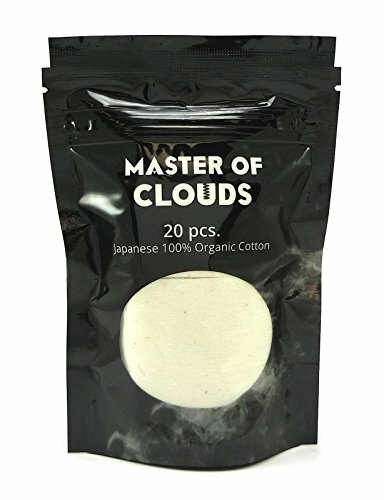 In addition, since we are connected with the manufacturer, we are confirmed that cotton is pesticide-free, unbleached. PRODUCT CONFIDENCE. There are evaluations from customers who can not be doubted. It is a product that is supported by a lot of really many customers. We already have more than 350 positive feedbacks. AWESOME AMOUNT. Parallel Cotton Fibers of 50 x 60 mm. 1 Pack has 100 pieces. 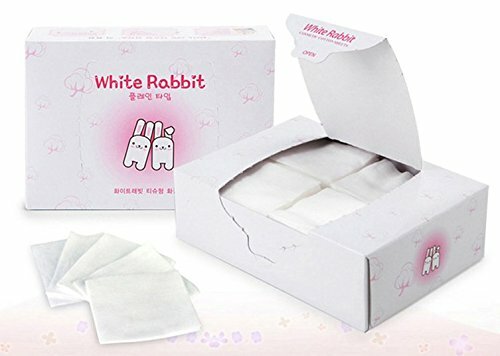 Square cotton pads can use easily as you wish. For customers, we reduced the parts we could cut down and left behind where we needed the details. As you can tell, this cotton is considered for the customer to the ultimate. Therefore, there is enough amount to use. GOOD SHAPE It is the most excellent in all. Please check it for your hands. 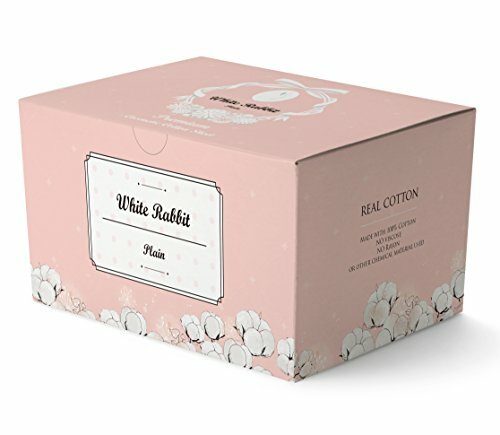 White Rabbit Cotton PadWhite Rabbit Cotton Pad is a tissue type cotton square, made with 100% pure cotton that has not been raised with a use of chemical fertiliser or pesticides to ensure pure, safe, and super quality White Rabbit Plain Type-Plain type is suitable for applying toner with. One cotton pad is enough to be used for whole face, thanks to its large size.Who is recommended for?1.Customers who have sensitive skin2.Customers who are seeking superb quality of cotton padTips-Cut the cotton pad into four pieces-Soak the cut pieces with a toner or a serum of your choice-Put them onto your face every morning before your make up-Apply any moisturizer of your choice-Your face will be moisturized and will be perfectly ready for your make up. Your foundation will look beautiful! 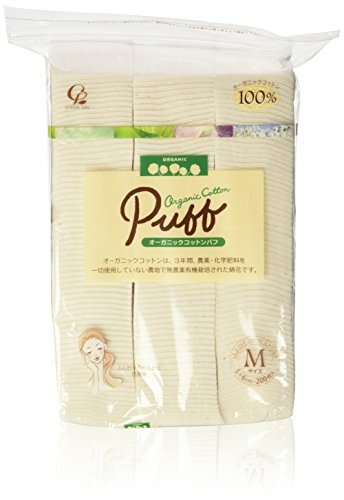 - (M size 50×60mm) - 100% Organic Cotton, non-peticide, non agricultural chemicals, for makeup or cleansing ,patting and facial mask - Since not subjected to bleaching, while the natural appearance of the original cotton was the cream. - Zipper that can be stored in a sanitary manner even after opening the package. 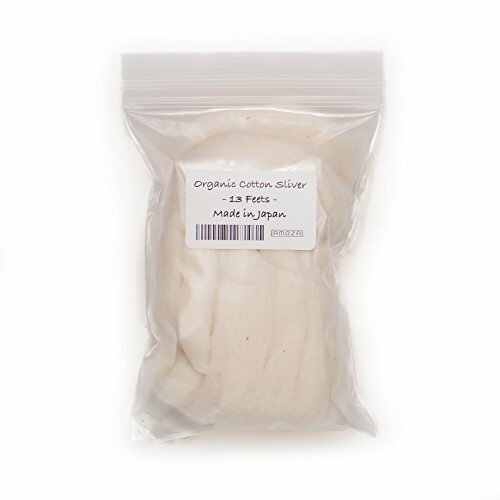 100% cotton that is grown free from Pesticides and Chemical fertilizers. 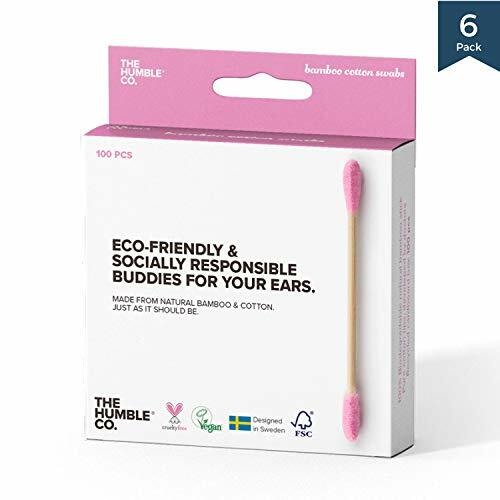 Precisely because what you use every day, that "what you friendly to both people and the environment in the pristine" Series made from 100% organic cotton that was born from the thought. 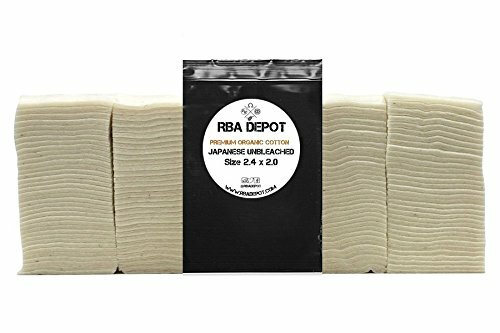 Color of original cotton with no bleach process. 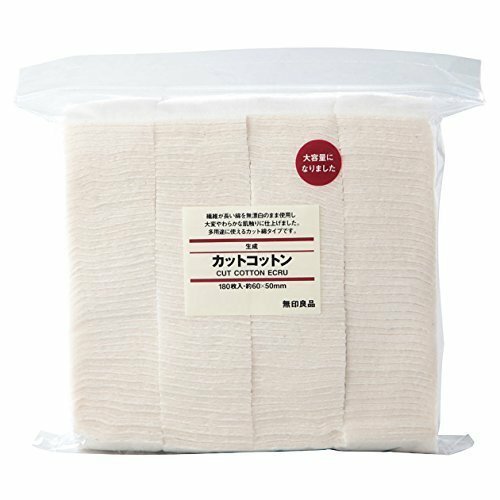 Selena Organic Cotton Puff Series has a very soft touching, which it can be used by wide range of skin types, recommended for those who have delicate skin or sensitive skin. It can feel more natural tenderness, and finished in soft fluffy "Good products" by cotton manufacturer. How to Use Cotton Effectively:Soak thoroughly with toning water. Using small amounts may cause the cotton to become fuzzy. Use just enough to make the cotton look transparent.Warning:Yellow or black speckles may sometimes be seen on the surface or inside the cotton. These are the natural husks of the cotton. 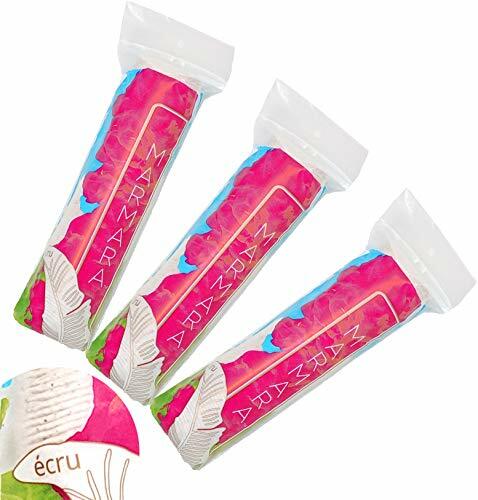 They do not affect the quality or use of the product.After opening, store so that the cotton is protected from dirt and dust.Do not flush down the toilet after use.Do not use anything other than cosmetic purposes. There are many reasons why cloth diapers and classic cotton nappies have been used for centuries, and are still used around the world. Soft, economical, organic, environmental - try them and believe! 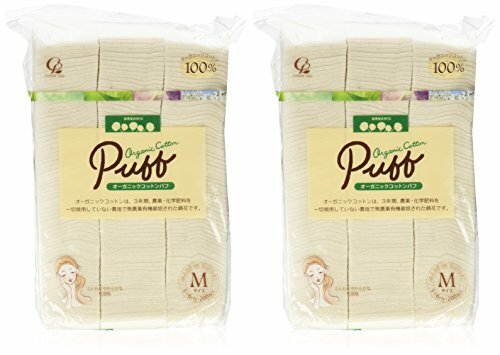 OsoCozy Organic Flat Cloth Diapers are made of 100% GOTS certified organic birdseye cotton, bringing superior absorption, softness and durability. They are one-layer thick, and measure 27" x 30.5" each, but will shrink to approximately 26" x 26" when washed. One order includes 12 organic diapers. Get great fit with a good, proper fold. 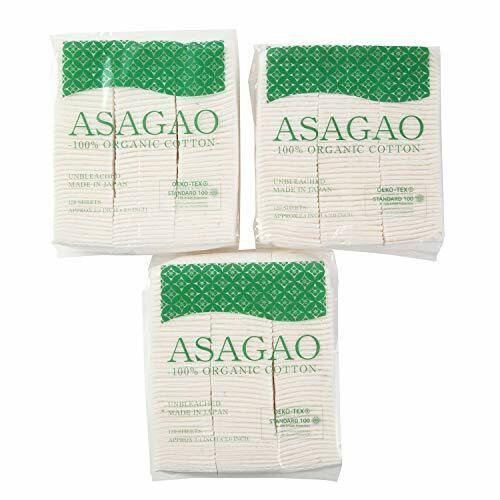 Use OsoCozy Organic Flat Cloth Diapers with pins, plastic pants, diaper covers or pocket diapers. 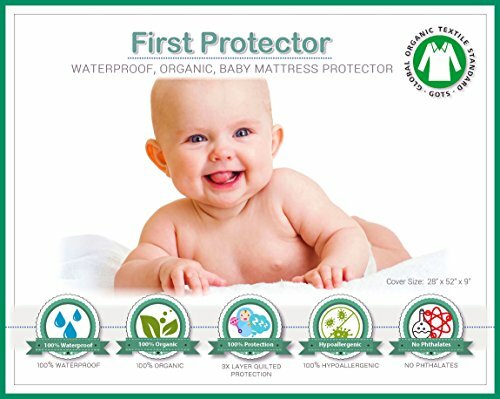 Unlike quilted or multi-layered cloth diaper prefolds, our organic diaper nappies are much easier to clean and dry very quickly on a clothesline or in a machine dryer. Plus, OsoCozy Organic Flat Cloth Diapers give you tons of cost-savings and so many uses! 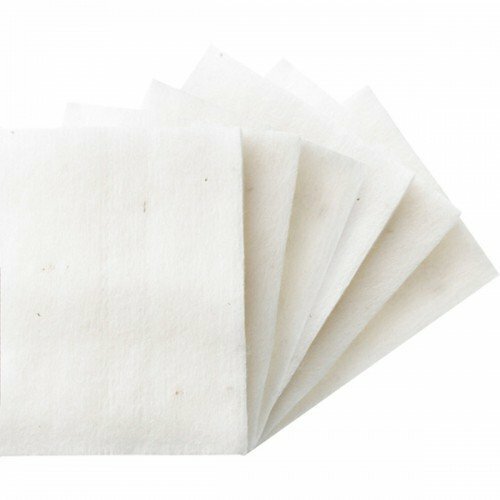 Our multi-purpose diapers can be used as burp cloths, changing pads, bibs, washcloths, and even around the house as optical cleaning cloths, CD or record cleaning cloths, or for shoe shining. 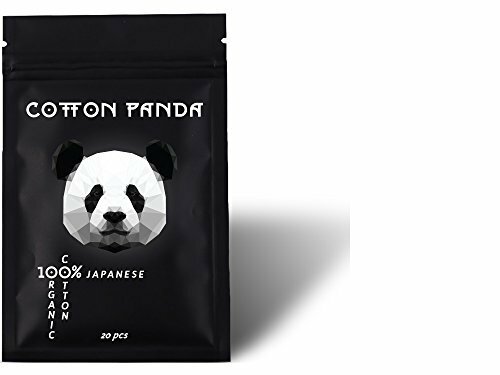 Japanese Unbleached Cotton 100% Organic [ 20 Pads ] Durable Packaging, New by"Cotton Panda"
MARMARA Écru rounds perfectly capture the exquisite softness of Turkish cotton. 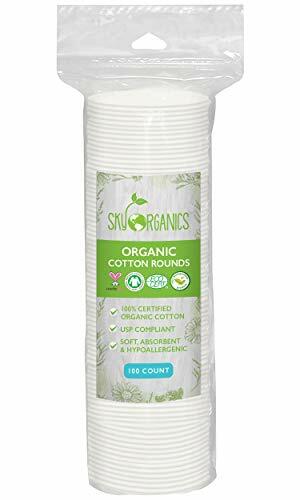 These all natural rounds preserve the original beige hue of cotton fiber along with the botanical waxes and oils that accentuate its quintessential softness. The whole harvest Turkish cotton in Écru rounds provides gentle exfoliation by utilizing the flecks of natural plant husk instead of synthetic texturing. The perfect compliment to everyday beauty routines, Écru rounds are ideal for pampering the most sensitive skin. Use these rounds for gentle cleansing around the eyes or restorative facial treatments by dampening them with a skin care product of choice. For the more rigorous beauty applications that require greater durability and lint control, consider pairing these with MARMARA Premium Stitched cotton rounds. 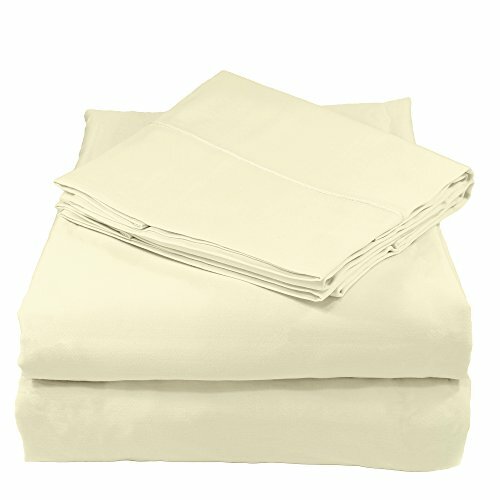 Used together, this unique combination of superior softness and durability will serve a wide variety of needs. 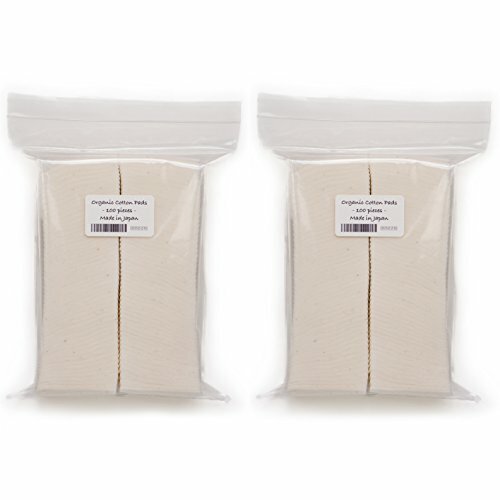 The zip-lock resealable package conveniently keeps your rounds clean and organized during storage or travel.